Victims of domestic violence can sometimes be afraid to leave the situation, and at times, even blame themselves for the abuse. But, Dr. Phil says nobody should tolerate being stuck in an abusive relationship, especially if their partner won’t recognize the issue. “Somebody that has a problem is one thing. Somebody that has a problem and is willing to work on it is one thing. Somebody that has a problem and will not acknowledge it, will not work on it and therefore, is not going to change it – that makes your situation very clear,” Dr. Phil explains. “Because loving somebody at the price of being beat on? I’d rather be healthy alone than sick with somebody else. “I guarantee you there is somebody out there to love you that won’t beat on you,” he says. Dr. Phil and his wife, Robin, will celebrate their 40th wedding anniversary later this year, and he says that not once in the 43 years they’ve been together has violence ever been a consideration. “I can tell you in that time, it has never occurred to me to put my hands on her in anger. Not one time ever. It’s not that she got lucky – that’s normal. She didn’t get the ‘good one.’ That’s just normal. You just don’t do that,” he explains. 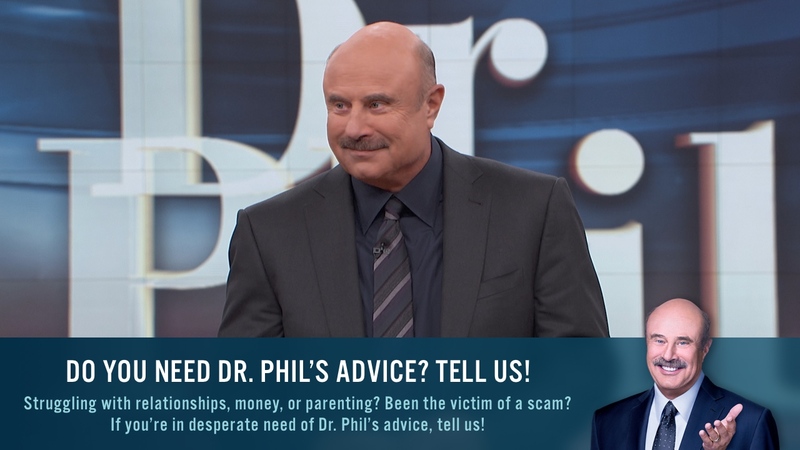 In the video above, Dr. Phil speaks with Jordan, who claims she is in an abusive relationship and can’t decide if she should leave the man she loves so much.